Funeral: 1:00 P.M. – Saturday, July 07, 2018 at Upper Grassy Branch Pentecostal Church with Rev. Patrick Morgan, Rev. Roger Wolfe, Rev. Ricky Simpson, and Rev. Willie Morgan officiating. Entombment: Laid to rest be side of her husband, Billy Don at Dog Wood Lane, Essie, KY.
Visitation: 6:00 P.M. – Friday, July 06, 2018 at the church. Jewell Dean Morgan, of Essie, Kentucky departed this walk of life on Wednesday, July 04, 2018 at her residence. She was 79 years of age. Jewell was born September 02, 1938 in Asher, Kentucky to the union of the late Joe and Polly Bowling Simpson. She was united in marriage to her beloved husband, Billy Don Morgan on September 10, 1952 at the resident of Albert Morgan in Grassy Branch – Essie, Kentucky. 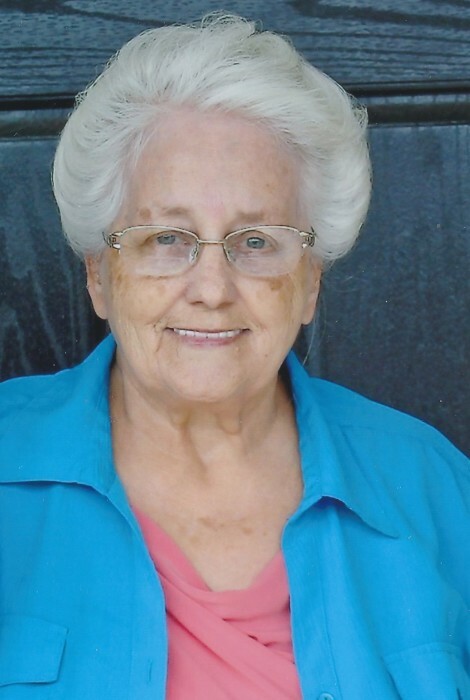 By occupation, Jewell had worked as a cook and in the housekeeping department for Frontier Nursing Service, Hyden, KY, and also as a cashier at Al’s Discount, Stinnett, KY. Jewell was a beloved and devoted member of the Upper Grassy Branch Pentecostal Church of God at Essie, KY. There, she served as book keeper for many years. She worked tirelessly in the church, cooking, cleaning, and helping in any way that she could to make sure the church was well maintained. Jewell enjoyed cooking, gardening, working in her flower beds, and most importantly, attending church. In addition to her parents, Jewell was preceded in death by her husband, Billy Don Morgan; one infant son; three brothers, Ford, Eugene, and Billy Simpson; one sister, Josephine Amos. Jewell leaves behind, three beloved daughters, Donna J. Hensley of Essie, KY, Judy Carol Pugh & husband, James of Essie, KY, and Connie R. Asher & husband, Carlos of Hyden, KY; one brother, Donnie Simpson of Asher, KY; two sisters, Rozella Morgan & husband, Willie of London, KY, and Betty Joyce Burkhart & husband, Huston of London, KY; Seven cherished grandchildren, Beverly Burns, Rodney Hensley, Ezra Pugh, Star Johnson, Joel Pugh, Chris Asher, and Brandon Asher; eight cherished great-grandchildren, Kelly Asher, Spencer Asher, Cheyenne Asher, Cameron Nolan, Hannah Hensley, Mallie Johnson, Lauren Pugh, and Lucas Pugh; a special niece, Norma Allen and husband, Harold of Essie, KY; a host of other family, friends, and church family also survive. Arrangements under the direction of Wolfe & Sons Funeral Home, Hyden, KY.